As a professional responsible for expanding operations overseas, you need some understanding of the labor laws in the countries and/or regions you’re considering expanding to. The first in a series of numerous articles will focus on select member countries of the Association of South East Asian Nations (ASEAN). The first ASEAN country covered here is Singapore, for which we provide an overview of labor laws and related issues that are priorities and issues. 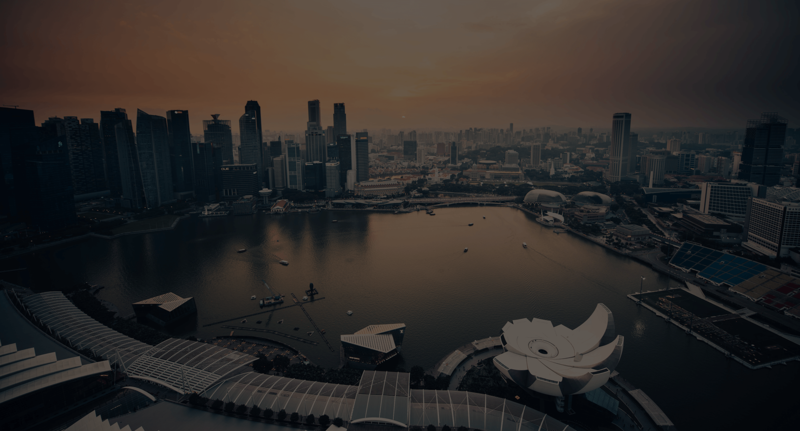 This article is intended to help you establish a basic understanding of labor considerations which may have an impact on your decision-making process if you’re considering making Singapore your next global expansion choice. Although Singapore is one of the least populated countries in ASEAN, it is one of the top 3 ASEAN countries in attracting workers from other member countries. According to this recent article in The Times Straits, Singapore attracts 19% of total migrants from other ASEAN countries, behind only Thailand and Malaysia. The ASEAN Economic Community (AEC) has taken steps to standardize qualifications, enabling engineers, nurses, architects, doctors, dentists, surveyors, accountants and tourism professionals from one ASEAN country to work in another if they meet such standards. The article continues by stating that “Singapore was cited for its sophisticated and well-functioning system of managing foreign labor”. Singapore is clearly one of the leaders in embracing ASEAN’s labor initiatives. With an unemployment rate of only 3.1% and a job vacancy rate of 85 vacancies per 100 unemployed persons, the job market remains healthy. What are the requirements to obtain the visa and/or work permit for a foreign worker? Is the employee authorized to work based on their role, or is such work restricted to citizens of the country where the work is to be performed? Are there minimum salary requirements for this position? Countries may impose such requirements to ensure adequate employee and employer taxes are collected. What payroll tax and reporting requirements apply to your company? Singapore tends to be employee favorable when it comes to terminations, and it is good to understand the potential liabilities associated with employee terminations. As a foreign entity operating in Singapore, the main consideration is associated with obtaining and maintaining permission for foreign employees to work there. Let’s face it! You’ll most likely want to transfer a core group of known and trusted employees to lead and manage startup and early ramp-up activities. And depending on availability of talent you may need to hire additional foreigners. Singapore’s Ministry of Manpower (MOM) must approve the employment of foreigners. It’s relatively straightforward to obtain a foreigner work permit as long as you understand and follow the process outlined by MOM. Approval can be obtained in as little as one week provided the employer follows the process. The government fee to obtain the work permit is $60 total; $30 at time of application and $30 when the work permit is issued. To obtain a work permit, employees must have a valid work pass. Work permits are allowed for skilled, semi-skilled and unskilled workers. Employers are limited by a quota for their industry. Work permit requirements, including improved source countries, vary based on sector including construction, manufacturing, marine shipyard, process, and services. Employers must maintain minimum salary requirements as defined by MOM. Duration of the work permit is up to 2 years, subject to the validity of the worker’s passport, security bond and employment period, whichever is shorter. The work permit is valid only for a specific employer and position. Employers must pay their foreign employees a fixed monthly salary, buy and maintain health insurance, and ensure the employee has acceptable accommodation. A security bond (one-time) and monthly foreign levy must be paid for each employee. MOM requires employers to consider Singaporeans before hiring skilled professional foreigners working in professional, managerial and executive positions. Before an employment pass may be issued to a foreigner for such a position, applications must first advertise the job vacancy in a new jobs bank administered by Workforce Singapore (WSG) for at least 14 days. Firms with 25 or fewer employees and jobs which pay a fixed monthly salary of $8,730 USD or more will not be subjected to the advertising requirement. Employment Income tax is taxed to the employee differently depending on residency status. Singapore Citizens or Permanent Residents (SPR) who reside in Singapore are charged at progressive rates ranging from 2% to 22%. A foreigner who has stayed and/or worked in Singapore for 183 days or more in one year or 183 days consecutively over a 2 year period is considered a Tax Resident. Tax residents are taxed at the same rate as Citizens and SPRs (2% to 22%). Foreigners who have stayed in Singapore between 61 and 182 days during a tax year or consecutively over 2 years are taxed on employment income at 15% or progressive resident rates, whichever gives rise to a higher tax amount. Foreigner employment income for 60 days or less is exempt from tax. Foreigners who are considered Tax Residents are eligible for tax reliefs. Foreigners who are not Tax Residents are not eligible for such reliefs. All benefits paid to or on behalf of employees are generally subject to income tax unless they are specifically exempt from income tax. Central Provident Fund (CPF) contributions are mandatory for Singapore citizens and permanent residents who are employed in Singapore. Foreign individuals working in Singapore are not eligible for the CPF scheme. Under the Scheme, the employer and employee are required to make monthly contributions at the prevailing contribution rates which are contingent upon the wage and age group of the employee. CPF contribution rates (subject to an annual wage ceiling) currently range from 7.5% to 17% for employers and from 5% to 20% for employees. The contribution rates for employees aged 55 years or younger are 17% from the employer and 20% from the employee. Although there is no tax withholding on Singapore payroll, the employer is responsible for tax reporting for all employees (resident, non-resident, et.) and tax clearing for foreigner employees leaving their employment. Employers must submit the employment income information of their employees to the Inland Revenue Authority of Singapore (IRAS) electronically. Employers are also required to report employment income to employees using Form IR8A and Appendix 8A, Appendix 8B or Form IR8S (where applicable). Do it yourself or Hire Professionals to do it Right? Although we’ve provided some basic information regarding Singapore labor laws and related employer responsibilities, there are many steps in each process, some more complex than others. Why go through the trial and error and/or expose your company to risks when you can engage professionals to handle the heavy lifting on your behalf? Blueback Global is just a call away to assist you in smoothly assisting you with your Singapore labor and related issues.